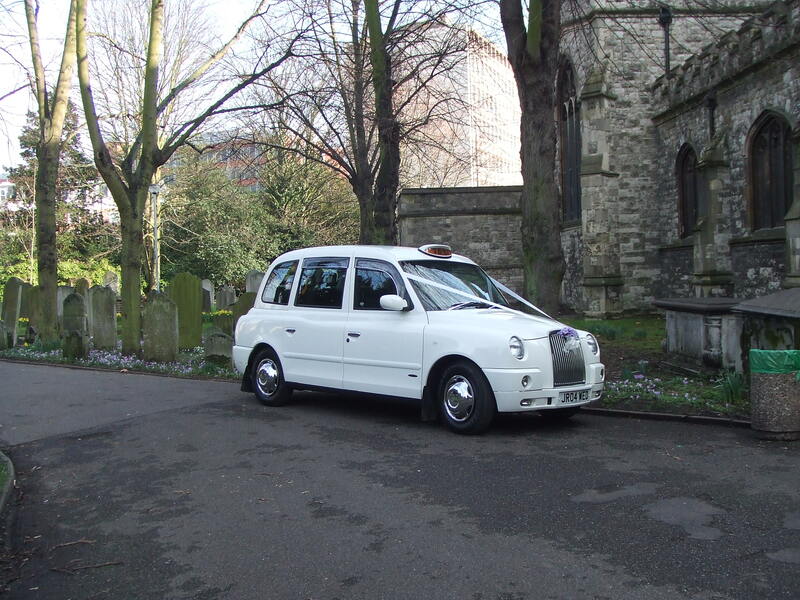 Book our Lovely Modern TX4 Gold with Black Leather Interior any Monday, Tuesday, Wednesday In 2018 for as little as £130 for a 2 hour Wedding. This is a substantial discount on our normal prices and an offer that we do not think you will be able to beat. This offer applies to weddings in Central London or up to 10 miles from our Bexleyheath Office. 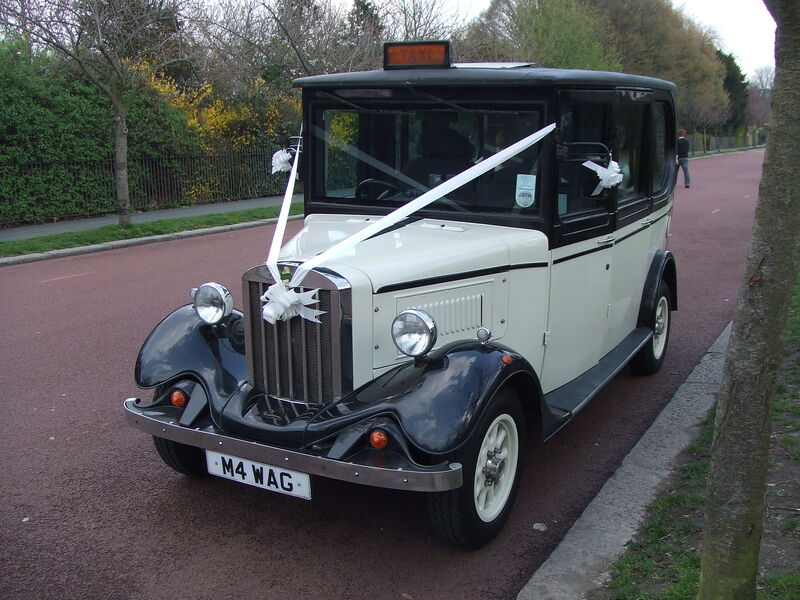 Book our Classic Old English White Fairway London Wedding Taxi on any Monday, Tuesday, Wednesday during 2018 for as little as £180 for a 2 hour Wedding. 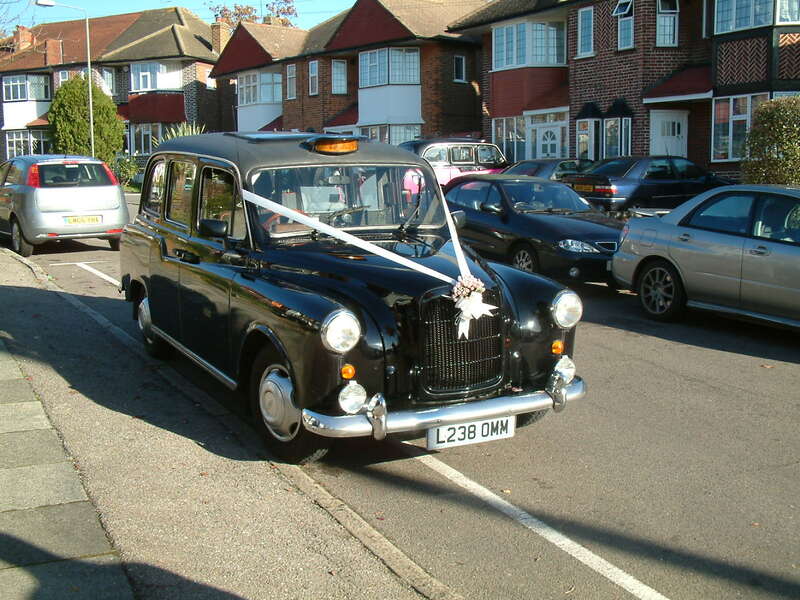 Book our Classic Black Fairway London Wedding Taxi on any Monday, Tuesday, Wednesday during 2018 for as little as £180 for a 2 hour Wedding. 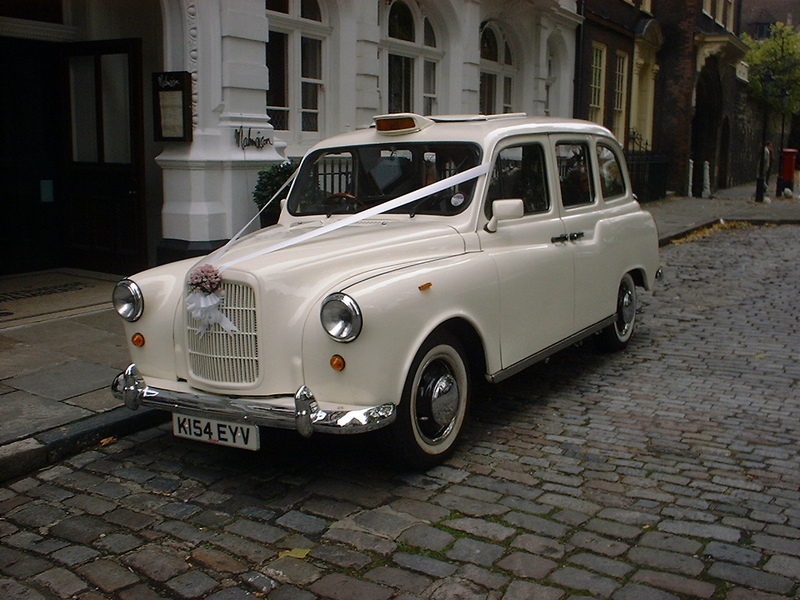 Book our Beautiful Ivory & Black Asquith London Wedding Taxi. Classic. Vintage Styling with the benefits of modern running gear any Monday, Tuesday, Wednesday during 2018 for as little as £220 for a 2 hour Wedding.